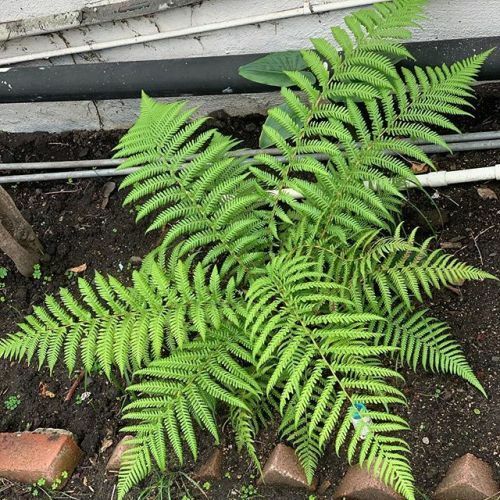 This fern is doing well in my backyard snuggled up against the rear of my workshop. Thus far it seems to fare well in both Summer and Winter, rain or sun. Check back later for an update.